The first time I traveled internationally was a quick jaunt to Cancun with friends. I remember the excitement I felt about finally using my passport and having fun in a new country with friends. I also remember feeling somewhat nervous about the process. Did I have everything I needed? (I did.) Would I need to convert my money? And if so, how would I know if I was getting the right amount? (I didn’t.) Was I sure about the rules on what I could and couldn’t bring into and out of the country? (Nope, and I got detained as I entered the U.S. again. Fun times!)…. And a plethora of other questions that I had about my first international trip. The holiday season is approaching and I'm already semi-stressing out about making my Christmas list and starting my Christmas shopping. I'm naturally a giver, and I really LOVE giving gifts...especially at Christmas time. As much as I enjoy gift-giving, I'm not a fan of actually getting in my car and driving to the mall to fight the crowds during the holidays. Honestly, I’m not a fan of going to the mall during any season! Because of this, I like a lot of people, have come to prefer online shopping. Especially for gifts! And ever since I discovered that I could earn airline and hotel points by shopping online, I rarely step foot into a mall. Every year, I earn at least enough points to cover a one-way flight on Southwest. Wanna know how? Staying at an all-inclusive resort is a great way to take most of the guess-work out of planning a honeymoon. After dealing with all of the elaborate and intricate details of planning your wedding, you'll definitely want your honeymoon planning to be a breeze. Enter the all-inclusive resort. All-Inclusive resorts allow you to pay one price up front, and then indulge in the all the luxuries provided once you arrive to your destination. Though some resorts get a bad rap for being mundane, not providing enough activities, or having less than desirable food, the collection of all-inclusive resorts listed below are guaranteed to provide you the ultimate honeymoon experience. While hurricane season is varies from year to year, this particular hurricane season has been overwhelmingly devastating, especially for islands in the Caribbean. I'm not a meteorologist so I won't go into super detailed specifics about how hurricanes are formed, etc., but typically the Atlantic hurricane season is from June to November, with September being one of the most active months for hurricane-like weather. The Caribbean is very popular to travel to during hurricane season mainly because its the end of summer vacation and prices are typically cheaper. But because you never really know what hurricane season will be like when you plan ahead, here are some alternative beach destinations that will allow you to still get your beach fix without the increased threat of damaging weather. All-Inclusive resorts are a great option for all types of vacations. My favorite thing about all-inclusives is that you can pay one price up front, and not have to worry about pulling your wallet out while you're away. As I write this, I'm currently sitting on the patio of my hotel room at the beautiful Grand Fiesta Americana All-Inclusive resort in Puerto Vallarta, Mexico. While I've experienced a few all-inclusive resorts, this is Marcus' first all-inclusive experience, and to say that he is enjoying it would definitely be an understatement. All you can eat AND drink? This is right up his alley! To date, I've helped over 50 clients book all-inclusive vacations and I get a lot of questions about choosing the right resort. So, if you're thinking about staying at an all-Inclusive resort the next time you travel to Mexico or the Caribbean, here's some things to consider. Visiting Cuba was such an amazing experience for me...and I barely even touched the surface of all this beautiful country has to offer. In my previous post, I detailed some tips that helped me prepare for my trip, as well as broke down the new restrictions for Americans visiting Cuba. If you haven't read this post yet, you can check it out here! This post is all about what we did and (most importantly) ate while in Havana! *Disclaimer* This is a long post..but it has a ton of good info that will help you out with planning your trip to Cuba. Or, you can just click the button below and let me plan your Cuba trip for you :-) But still read to the end..because you may find some exciting news! When we scored our Southwest Companion Pass (which I talk all about in this post) at the beginning of the year, the very first flight I booked was to Havana. When President Obama eased the travel restrictions to Cuba a couple of years ago, I decided that I should place Cuba on my list of places to visit..if for no other reason than simply the fact that it was allowed now. At the time of writing this post, our current President has begun to initiate policies that will make it difficult (although not impossible) for Americans to travel to Cuba again. As I've been preparing my own travel plans for the year (which includes 3 new places I'm super excited to visit!) I've been searching for easy ways to save some extra cash to have in my pocket while on these trips. Saving extra money hasn't been (and still isn't) the easiest thing for me to do. But these two apps below have been super helpful in getting the ball rolling for me! f you know me, you know I'm NOT a fan of cold weather. If you don't know me, well now you know that I'm NOT a fan of cold weather! So when my cousin decided to plan a group ski trip to Breckenridge, I was hesitant. However, aside from the fact that cold weather isn't my thing, the idea of a ski trip has intrigued me ever since that episode of Fresh Prince when Will and Carton get stuck on a mountain and has to ski down before an avalanche consumes them. Of course I envisioned my own skiing experience to be way less dramatic! So I agreed to go and began researching, as I do before any trip, to make sure I was prepared to brave the elements and have an awesome time. Here are some tips to help you prepare for your first ski trip. Valentine's Day is approaching and I really wanted to plan a quick weekend getaway for Marcus and I. Unfortunately, our work duties wouldn't allow us to jaunt off for the weekend. Instead of being bummed..(okay I was bummed, but only for a short while) I decided to plan a staycation for us to celebrate the weekend.  JAUNTS AND GEMS, LLC © 2018 | JAUNTSANDGEMS.COM | DESIGNED BY: Kirby Mack Design Co.